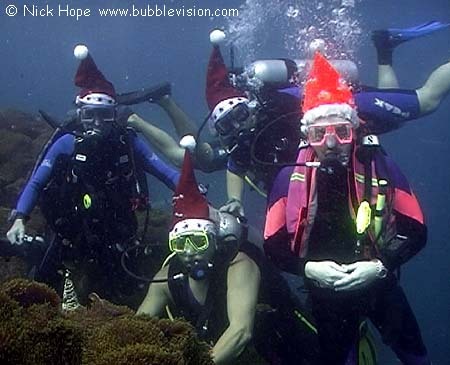 4 wet Santas celebrating Christmas Eve, 2001. (I'd like to blame the nitrogen narcosis, but we were only in 10m!). Note waterproof Christmas tree, bottom left.